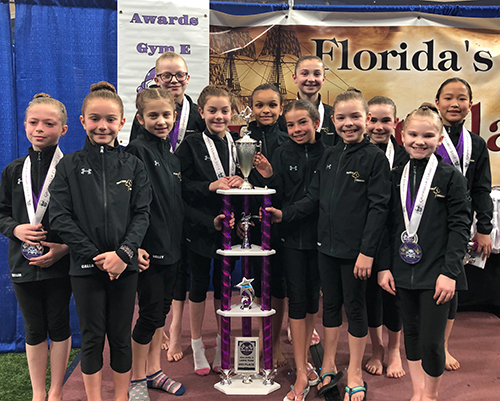 Bright Raven Gymnastics teams traveled to St. Petersburg, Florida to compete in the Gasparilla Classic February 22-24. 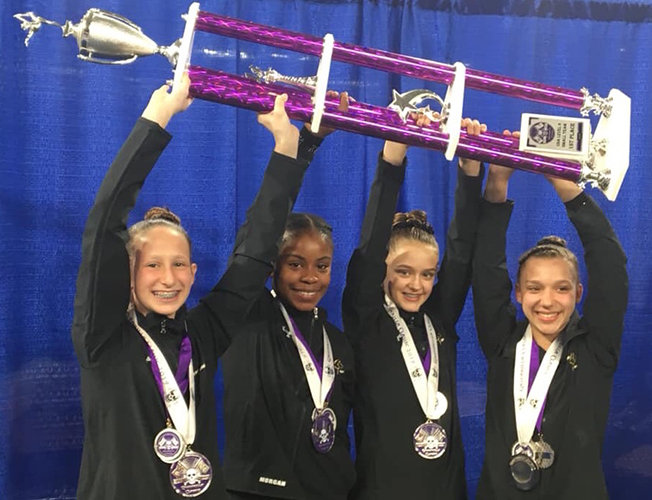 177 teams from 29 states and 9 countries were represented at this USA Gymnastics Junior Olympic sanctioned competition where Bright Raven took several team awards and earned many individual top all around honors. 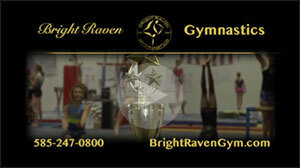 The Bright Raven Level 6 team and Level 4 Team each took first place. The Level 7 and Level 3 Teams both placed second and the Level 8 team finished fourth. 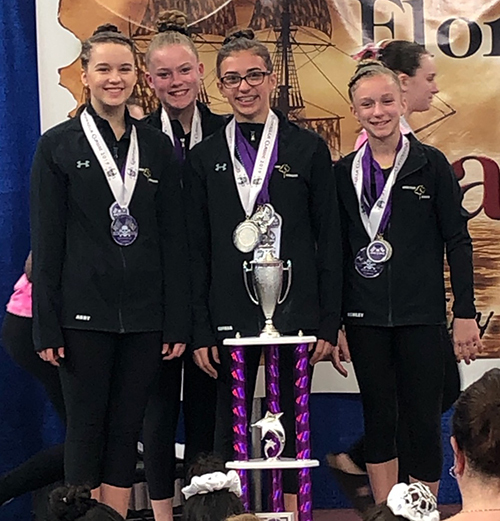 In Level 6 competition, Morgan Sizer earned first all around and Natalie Wood was third. 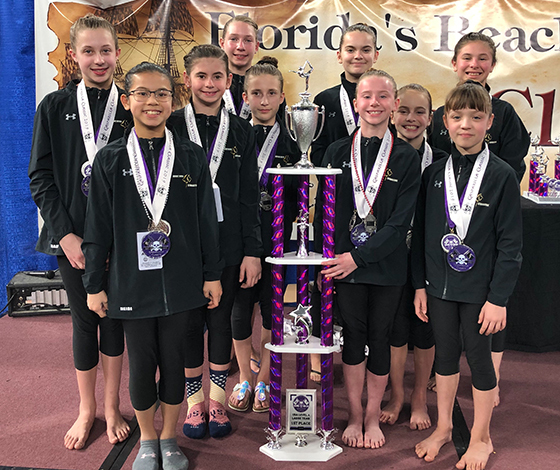 In Level 5 competition, Kailey Tran took first place, In Level 7 competition, Kylie Montague placed second and Meredith Fingler and Megan Robinson placed third. Sophia Daeschner competed as a Level 8 and placed third. In the Level 4 Senior B competition, Heidi Tran earned second place and Abby D’Ambrosia placed third. 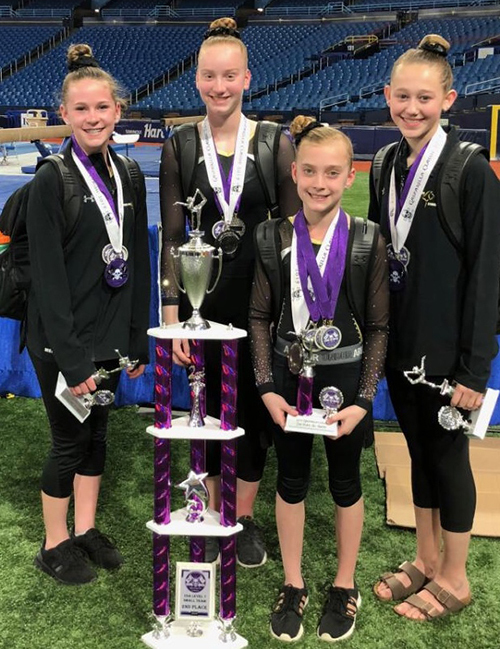 In the Level 4 Senior C division, Madison Gefell placed third and in the Junior A division, Samantha Clyde was third. Level 3 top all around finishers included Rachel Lynck taking first, and Sara Bishop and Ava Marks placing third. Elliott Sonneville of Walworth competed in the Boy’s Level 4 competition and earned second place all around.